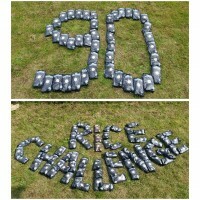 Each year we take on the 90kg rice challenge from our partners Just Trading Scotland. The challenge is to sell 90kg of rice – because when a farmer sells 90kg of rice they can afford to send their children to secondary school for a year. As we launch the rice challenge again this year, with the hope of achieving the challenge 5 times over (and reaching over 1000kg sales!) we introduce you to the rice farmers in Malawi. Each day this week we share their stories so you can meet the people who grow our food, and discover how buying rice in the challenge changes lives of farmers and their communities. Susen is a rice farmer in Kilombero. She has 3 children. She attended primary school and received a good education. She joined the farmers’ association, KASFA, which promotes gender equality among its members and she is now a lead-farmer, giving agricultural training to others. KASFA elected Susen to represent the association at the G8 summit in Belfast in 2013. Susen is chair of the local Catholic Peace and Justice Committee which is looking into the issue of land rights in the wake of appropriation of farmers’ land for open cast mining. Just Trading Scotland helped Susen to buy a rotavator so she no longer needs to do all the ploughing by hand. Another example of how the 90kg rice challenge works to transform lives. Click here to read our ‘Alternative Harvest’ blog and find out more about the 90kg rice challenge with fairandfunky. Click here to read more stories from rice farmers in Malawi. And click here to buy the rice! And please use code 90RICE to donate to the Welcome Centre and Food Bank in Huddersfield.